Short fitted stretch soft-shell jacket. 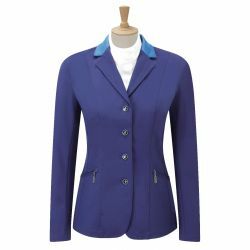 Breathable stretch fabric with contrast colour collar and elbow patches. Featuring zip pockets, two rear riding vents and subtle branded buttons. Machine Washable.